Matrix Remote Sentinel Systems’ new product line, Possum, promises to augment lookout and threat response tasks with tactical defence capabilities by introducing a ship-mounted, local and remote-controlled, non-lethal Capsaicin fog release and propeller fouling system to deter unauthorised boarding and stop approaching small craft. The Possum line, which is scheduled for production in 2015, grows out of the company’s namesake remote data transmission technology for the maritime domain, Matrix. The Matrix system promises a cure to human error in threat detection and augments vessel monitoring and control, according to the manufacturer. Matrix offers the ability to remotely and covertly see, hear, communicate with, and take remote control of a client vessel, 24/7/365, world-wide, in port, at anchor and on the open seas. The system’s primary purpose is to communicate data and video from ship-to-shore-to-ship. It is capable of monitoring perimeter access, bridge functions, engines, propellers, refrigeration systems and cargo systems, among others. Matrix is managed through a proprietary base-station with screen interface in the bridge. It links directly to Inmarsat fleet broadband satellite for remote data acquisition and provision allowing real-time transmission worldwide. The system also integrates into the vessel’s radar, PA and video system. It can communicate with wireless camera and sensor technology up to 5km away. Data is transmitted back to land to display on a standard web browser at the ship owner’s office. Matrix has also planned its own land-based monitoring centre to which ship-owners can outsource vessel function and data monitoring, allowing land-based staff to monitor ship operations 24/7. Matrix’s engineers can work with the ship-owner or operator to design a customised control and recovery system linking the vessel to the land-based monitoring centre, allowing expert staff to remotely take control of the vessel, engines and steering, in the event of a hijacking or other crisis. Although the Matrix system, according to its developers, proves vessels can achieve close to 100%, 24/7 detection and monitoring, a need still remains to stop attackers should they attempt a hostile boarding. After discussion with potential clients and investors seeking something more to provide tactical defence, Matrix developed its new Possum line. The product is aimed at the merchant navy fleet, one of the primary targets of pirates. Possum is a non-lethal anti-boarding system designed to close the tactical response gap in Matrix, completing the overall concept of total surveillance and deterrence, while integrating into the main Matrix system for global control. It aims to provide a simple and effective solution for stopping attackers and attack craft without lethal force, all at less than 15% the cost of armed guards, according to the manufacturer. However, the Capsaicin cloud will be visible and thus avoidable for non-target parties navigating outside the immediate area. Capsaicin is heavier than air and will settle and disperse in the sea after deployment. 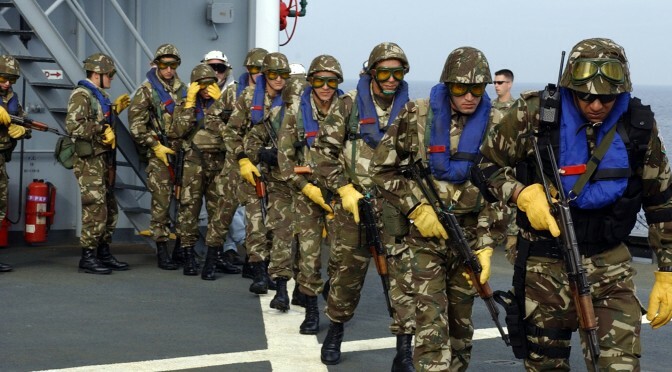 Protocol for use will recommend having all crew inside a secure area prior to discharge. Post-use, any residue can be hosed away from the ships exterior to prevent accidental contact with crew or passengers. The issue I would like to address in this essay is piracy. Piracy has been a threat to the safety of the seas since the seas were first used for transport and it has been a danger ever since. From the Barbary Corsairs to the privateers of the Caribbean, pirates have found ways to succeed or even thrive no matter the situation. 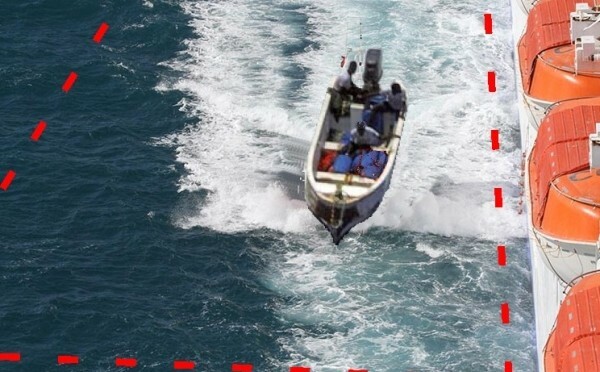 For years pirate skiffs from Somalia have been attacking marine traffic to hold the ships and/or their crews for ransom. These brazen attacks have drawn the attention of the media and even, in the case of the Maersk Alabama, Hollywood. 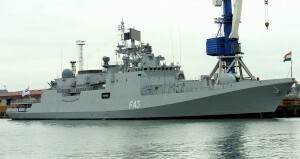 Of course any security issue that comes to the attention of the general public has first passed through the halls of numerous defense ministries across the globe so it should come as no surprise that before, during, and after these events, efforts were made by various navies including the US Navy and a coalition task force from the European Union to combat this growing problem. In this essay I would like to address what they have done and how it could be done better and in a more sustainable manner. 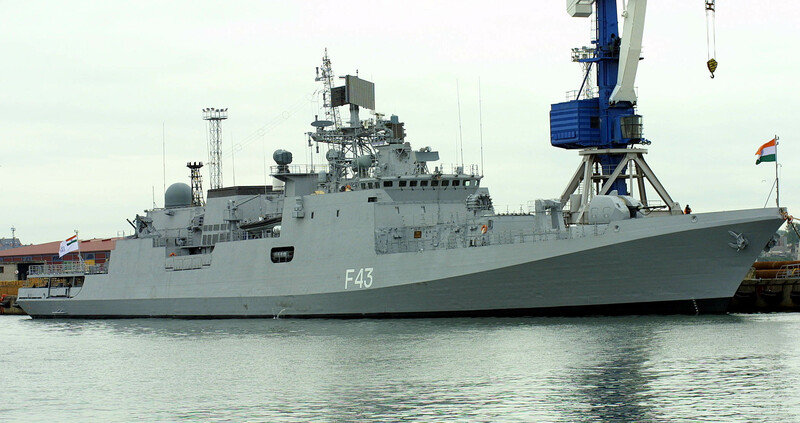 The primary approach was taken thus far is to use large surface combatants such as frigates and destroyers as escorts for merchant ships as well as touring African nations and training their respective navies in counter-piracy operations. These measures, when combined with better safety measures taken by commercial vessels, have been extremely effective since 2012 and attacks off Somalia have become almost vanishingly rare at this point in time.1 This being said, these measures are fairly expensive both in money and in combat forces and while the threat off the Horn of Africa has been put into remission temporarily, the underlying issues that lead to the growth of piracy in the region remain.2 Thus if the governments responsible for this crackdown on piracy wish to continue to suppress piracy without devoting significant monetary resources and a handful of large surface combatants to the region a change in strategy is required. Currently the platforms responsible for this mission are surface combatants and Maritime Patrol and Reconnaissance Aircraft or MPRAs. These platforms belong to three multinational forces and four single state task forces are deployed in the region.3 This, in my opinion, is overkill. While the current system has worked, it is large and inefficient and when the political will runs out this bureaucratic nightmare will be one of the first things to go. Thus there is a need for immediate change. First of all, the platforms now being used for security operations are not ideal for the job. The P-3s and other manned MPRAs used for wide area maritime surveillance in the area are high value assets in the navies of their respective countries and can be used for missions as diverse anti-submarine to search and rescue missions. 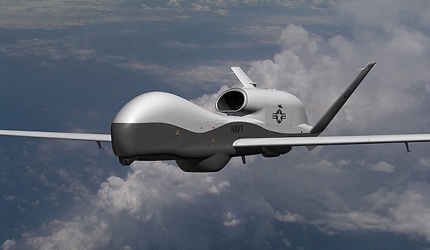 In contrast, the MQ-4C Triton Unmanned Aerial System was designed without the anti-surface and anti-sub capabilities of most MPRAs and focused instead on long endurance patrol of large bodies of water. With an acquisition cost only 68% of the P-8A (the US Navy’s current MPRA)4 along with lower operational costs, the Triton is the clear choice for maritime patrol in low threat environments such as the coast of Somalia. As for surface combatants, the frigates and destroyers currently allocated for these missions are large and often significantly over-armed for confrontations with pirates in small motorboats. An alternative would be smaller platforms, both manned and unmanned, which could provide sufficient armament and speed to effectively combat the threat while requiring significantly less time, money, and logistical support. 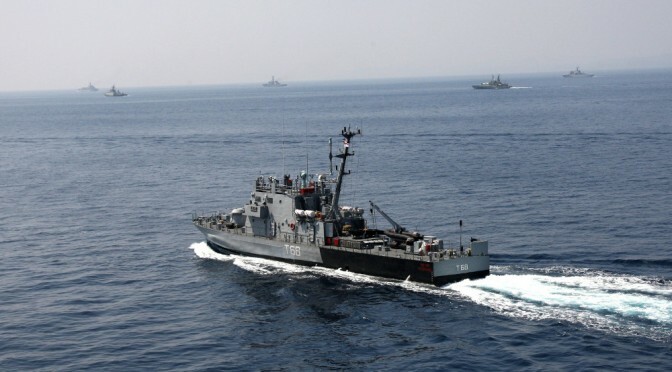 The manned platforms suited to this task that are available for use today are the Cyclone patrol ships, eight of which are currently forward based in the Persian Gulf, the Mk. VI Patrol Boat, and the Mk. V Special Operations craft. These craft could be used as a rapid response force, responding to threats at speeds of between 35 knots (the Cyclone) and 50 knots (the Mk V) with Intelligence, Surveillance, and Reconnaissance (or ISR) support from Triton UASs in the area. Of course these platforms unfortunately lack the persistence afforded by larger displacement surface combatants, which is where the Unmanned Surface Vehicle comes in. While the manned platforms listed above are an ideal and sufficient force to deal with crises such as the successful hijacking of a ship, they lack the ability to stay on station in the shipping lanes for long durations. Having these vessels in position to intercept any threats detected by airborne search radar is essential to prevent hijackings before they happen. The US Navy as well as a number of others have invested in the development of USVs primarily to protect large combatants from swarms of small, hostile boats armed with short range anti-ship missiles. Unfortunately the USVs currently in inventory are not armed but models in the near future will be. With all these niches filled, a comprehensive anti-piracy strategy begins to emerge. First, a small, manned contingency response group, based in the gulf and rotated through ports in Yemen and other friendly nations will be constantly in the area to safeguard against crises. Second, the unmanned surface element will patrol threatened areas regularly to defend shipping against small-scale attacks and will be constantly on station, ready to intercept threats if and when directed to do so. Finally, the Triton element will provide a persistent “eye in the sky” for surface elements. Piracy is an issue, both off the horn of Africa and around the world but as we have seen in the past few years it can be beaten. I believe that with a force such as the one described here, navies around the world could use the advantages of new technology to fight this age old threat. Griffin Cannon is a senior at the Vermont Commons School in South Burlington, Vermont. His interests include spending time with his younger siblings, the outdoors, tennis, and skiing. He finds military and political issues fascinating and spends time every day keeping up to date on the defense world. As a graduating senior he plans on attending university at the Naval Academy or on a NROTC scholarship. Griffin hopes to pursue a career in either engineering or defense policy after serving in the Navy.